Given a choice between an MFA program and TKZ blog, I’ll show up here every morning, and not just cuz the tuition is cheaper! Right here is where I experienced a slow but critical epiphany about villains, thanks to posts by P.J. Parrish, Jordan Dane, James Scott Bell, and former KZer Joe Moore (still miss ya, Joe!). For years, my mystery novels won contests and attention from agents and editors…and rave rejections. Despite study, hard work, and persistence, my books remained unpublished. A key element was missing. But what? 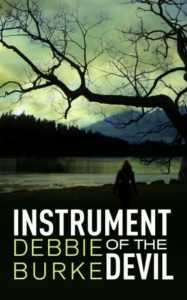 Several years ago I started following TKZ about the same time I began a new novel titled Instrument of the Devil. My previous books had been traditional whodunits told from first person or close third person points of view, completely inside the head of the main character. That meant a continuous struggle between what she could know (not much) vs. what was needed to solve the mystery. In addition, the plot required red herrings and false suspects thrown in, all without giving away the villain’s identity. I wrote mysteries like I read mysteries, from a state of ignorance, constantly trying to figure out what was going on. I had a general idea of the bad guy’s motive, but never paid much that attention to the schemes and machinations happening offstage. All action took place onstage because the first or close third POV required the sights, sounds, smells, and emotions be filtered through the protagonist only. My focus stayed stuck on the hero. The bad guy hid in the shadows behind the curtain until the big reveal at the end. Unfortunately he’d been hiding from the writer too! Finally, thanks to the wise folks at TKZ, I recognized the big fat blind spot in my books. In crime fiction, the antagonist drives the plot. Unless a crime has been committed, or is about to be committed, there’s nothing for the protagonist to do. The antagonist acts, the protagonist re-acts. I’d been following the wrong character around all these years! My realization probably seems like a big DUH to many crime authors. But I’m sharing it in hopes of helping others like myself who overlooked the obvious. It’s fun to think like a villain! When I started writing from the bad guy’s POV, a whole new world opened up—a world without conscience, constraints, or inhibitions. Actor Tom Hiddleston says, “Every villain is a hero in his own mind.” Most actors would prefer to sink their fangs into the role of a great villain than play the good guy. The baddies in my earlier books had been flat and dull because I’d never gotten inside their heads. Finally, the missing element became clear and…my book won a publishing contract! Why is the villain willing to steal, cheat, and kill? What rationalizations justify the harm done to others? A sociopath comes up with perfectly logical justifications and excuses for abhorrent actions. Irresistible influences like greed, power, and lust can seduce an ordinary person over to the dark side. Misguided righteousness can lead to horrendous consequences. A law-abiding citizen may be forced into a corner where he commits acts he would never do under normal circumstances. If an author roots around in the antagonist’s brain for a while, background, reasons, and rationalizations for antisocial behavior bubble up. Armed with such knowledge, it becomes impossible to write a two-dimensional character. Jim Bell offers a great technique—try to imagine the villain delivering the closing argument to the jury that will determine his fate. 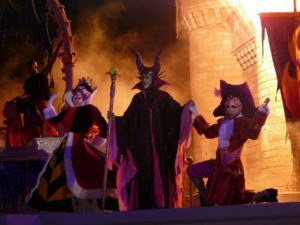 Do you show the villain’s POV in the story or not? That choice is contingent on subgenre. In a whodunit mystery, the identity of the villain is typically a surprise at the end. Therefore, that POV is generally not shown to the reader, although some authors include passages from the villain’s POV without revealing the identity. Suspense and thriller novels often are written from multiple POVs, including the villain’s. When the reader knows early on who the bad guy is, the question is no longer whodunit, but rather will s/he get away with it? The author can choose to show the antagonist’s POV or keep it hidden. But either way, you need to be aware of it because that’s what’s driving the story forward. Even if you never show the villain’s POV, try writing scenes inside his/her head. You don’t need to include them in the book, but the act of writing them gives you a firmer grasp on that character’s deep desires and how those desires screw up other people’s lives. Once you really understand what the antagonist is striving for, that provides a solid framework from which the story hangs. If you’re in a corner and your hero doesn’t know what to do next, check in with the villain. While the hero is slogging through steps A, B, and C to solve the crime, the bad guy is offstage setting up roadblocks D, E, and F to keep from being caught. What can he do to make the protagonist’s life miserable? Does she need to commit another crime to cover the first? How can she elude capture? The best answers can be found inside the bad guy’s head. What is your villain doing right now? Do you prefer to show the antagonist’s POV or keep it hidden? P.S. A BIG THANK YOU to everyone at TKZ for helping me to raise my writing from rave rejections to publication. 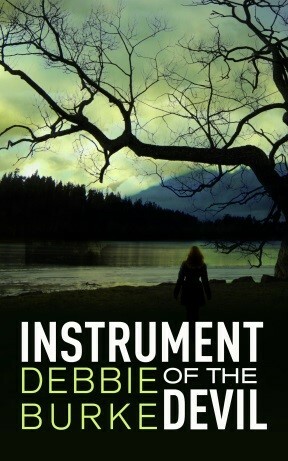 Debbie Burke’s thriller Instrument of the Devil is now available on Amazon for pre-order and goes on sale October 10. My villain is now dead, but while he was alive, I knew his every move; I knew how he treated his wife, when he wrote poetry, what his plans were, how he hid his vileness from the public, what shampoo he used, yadda, yadda, yadda. But here’s a problem in my WIP: the character who appears to be the villain has a change of heart–she becomes less villainous at about the 3/4 point of the story, at least with respect to the protagonist and her goal, i.e., she’s no longer a threat to the protagonist, and in fact joins forces with her to save the protagonist’s son. Oops! A protagonist without a defined antagonist. The group that the supposed antagonist belongs to is amorphous and secret. So far I have no other individual within that group who could become the real antagonist and take over the role near the end of the novel. I’ve thought of making the protagonist’s romantic interest the real villain, but I don’t feel comfortable with that. I’d rather that someone in the antagonist’s group become the real villain, and I can do that, but, again, I don’t feel entirely comfortable with that. But here’s my question, if you feel disposed to comment: Do I absolutely need a named and developed character to be the real antagonist, OR is it possible to leave it as any one of many members of the group, since the group has noble objectives but illegal and murderous strategies? In that kind of group, the potential for some of its members to go off the rails and become fanatics is definitely a huge risk. Wow, you ask a tough question that’s above my pay grade. Maybe some of TKZ’s wiser minds will comment. Claiming the caveat of limited knowledge, I’ll try to answer. I checked out your website for a bit more context. Your theme is vigilantes, a provocative slippery slope. Armed with righteous indignation, anyone is capable of anything, including murder. I like the idea of the presumed villain shifting sides three-quarters of the way into the story to work with the protagonist toward a common goal. Sort of like the movie version of “The Fugitive” where Lt. Gerard changes from trying apprehend Richard Kimble to helping him. It sounds like your best option for a “replacement” villain is an ally who goes off the rails. Perhaps that person could veer from their mutual goal of pursuing vengeance to one of self-protection, trying not to get caught. She might turn on the protagonist b/c she no longer trusts their pact of secrecy and fears her righteous cause (punishing child molesters) could be compromised by something the protagonist says/does. Their common enemy, child molesters, is overshadowed by her need to elude detection so she can continue her campaign of vengeance. On rewrite, you may find a character in the group who jumps out as a viable turncoat. Then you can salt in clues to foreshadow the future betrayal. Thanks for a great challenging question! Reading about your dilemma, the first thing that came to my mind was something I wrote about yesterday — the power of misdirection in crime fiction. You say your antagonist APPEARS to be the villain but then comes around to become an ally for your heroine. That’s a terrific plot twist. Maybe you can exploit this idea so the reader believes this person is the villain but then is surprised to find she is really on the side of good. The problem for you, however, then becomes going back and creating a credible REAL villain who later is revealed as such. It would involve hard rewriting but might work so the “second” villain is woven in organically and doesn’t suddenly appear at book’s end (the Long Lost Uncle From Australia deus ex machina). I had this happen to me in an early book — the person I thought was the bad guy turned out to be merely a red herring, so I had to go back to square one and set him up as a “false antagonist” and also create a second character hiding in plain sight who was the actual villain. Not easy…but the payoff was great once I nailed it down. What book was that? I should buy it to see what you did because I think that’s exactly what I need to do. And the fringe benefit for me is that through what this new character does, I’ll be able to say something I’ve long thought about this type of conspiracy, i.e., that if the conspiracy gets too big, you lose control over its members, and one of them can go haywire. You both are wonderful. It’s amazing to me how helpful throwing a question out there can help. I’m not in a critique group right now because I live in the boonies, but these ideas are the kinds of ideas that can come out of a brainstorming session with a critique group. I’d be lost w/o my critique group. Five brains are better than one. Thanks so much for giving me food for thought. It seems as though I need to add another character and introduce her in the first part of the story. It’s relatively easy to do, except that I have to develop her character first, and then figure out how to reveal her, i.e., foreshadow how she will behave later on in the story–without entering her head because I only want two POVs in this story. Congratulations on getting publishing, Debbie. A 3rd party has invested & believed in you. Good luck with your book. Villains are great fun. Thanks for the shout out on the TKZ posts. I just finished a short story where the hero & villain are both motivated by revenge over the same reason. Anti-heroes paired against a formidable foe make it challenging (& fun) to straddle the line of the law. Thanks, Jordan! You’ve helped me a lot and I truly appreciate it. Yes, I love stories with unlikely pairings of hero and villain. They’re full of interesting conflict that keep readers turning pages. I LOVE that line. That’s an insight into both writing and present-day politics. Thanks, Mike. Villains feel totally justified in their acts, no matter how many lives are destroyed. My villain is dead, killed by the very same fighting skills my protagonist showed in the very first scene of the story–except she didn’t kill the first guy. I understood when I chose the first person POV, there there would be some problems. But then I realized there was a solution, at least for me. It came to me when my character–a highly-decorated U.S. Marine military police officer–came home to help find her missing godbrother. Her hometown had grown substantially because of a huge pocket of natural gas was discovered in her part of petroleum-rich Oklahoma. She also found that the tiny little police department she had known had grown substantially. She was confronted by a corrupt police officer who physically violated her. Using her fighting skills, she turned the table on the dastard, spun, caught his back in an elbow move and slammed his face into the side of her car, knocking him out. She knew she was in deep trouble now for assaulting a police officer. When other members of the police department showed up after she herself had called the dispatcher, she was handcuffed, set on a curb, and glowered at and threatened by other members of the police department. Of course, it helped that the chief of police was her horseman. What is a horseman, you ask? Ah, that’s what you’ll have to pay Amazon or your local bookstore when the publisher releases it, to find out. Sounds like an interesting book, Jim, but you don’t mention the title??? Raymond Chandler and John D. MacDonald hooked me on first person POV, which is why most of my earlier books were written that way. But obviously it takes skill and workarounds like you mention to pull it off in a way that doesn’t feel like a cheat to the reader. I’ve always loved villains; I find them much more fascinating than the protagonist. In fact, I spend mor time imagining my “bad” guy’s life than my “good” gut’s life(although the guy never stays a “true” villain). UsuallyI don’t root for the villain to win. Lately, though, I’ve been reading books where the goog guy is just as bad if not worst than the villain. The protagonist is either too self-obsessed, too power-hungry, or feels that the world owes them for something. This, I find, is unacceptable. It’s one thing to be an antihero, but many books today have protagonists who never acknowledge the fact that what they’re doing is wrong. Also, there are things you can’t do to a bad guy: murder his family, torture, or hate him for no reason. I read this MG school story recently where the main character breaks up with her boyfriend, and the guy starts going out with another girl, and the MC hates the girl’s gut for no conceivable reason. Not only that, the other girl makes the first move to reconciliation. Good points, AZAli. I think we’re fascinated by villains b/c they step over the line that most of us won’t cross. We get vicarious enjoyment of seeing someone else do what we only fantasize about. I agree with you on unlikeable protagonists. Gone Girl comes to mind. I hated all the characters. However that didn’t stop me from finishing the book. But I’m not in a hurry to read similar stories. Your example of the MG story illustrates that an antagonist doesn’t have to be a villain, just someone who stands in the way of the protagonist’s quest. Great. I think I’ve been doing this somewhat implicitly, nudged by some of the KBZ posts you mention. But it’s very good to spell it out explicitly–hit us over the head with the 2×4. I particularly like you short typography of the different kinds of motivations/situations that can drive the villain. Story will be different depending on whether the guy’s a sociopath or some poor guy driven to desperation by a uncaring world. Thanks, Eric. A 2X4 is the best tool to get my attention. Nothing is more powerful than real-life testimony. Thanks for posting your lessons, Debbie. One book that helped me understand how to handle villains was Mike Connelly’s “The Poet.” I was writing a first-person stand alone and was stymied because I had no means to explore the villain’s psyche, motivations, backstory, etc. I found in “The Poet” the answer — I alternated POVs between my protag and the antag, using first person for the good guy and third for the bad guy. Took me a while to master this but this book (The Killing Song) remains one of my faves because it was wonderful to so fully explore the villain’s side of things. If anyone here hasn’t read The Poet, I really recommend it. Not only hugely entertaining but a great book to analyze for POV. Thank you, Kris. Downloading The Poet to my Kindle. Connelly teaches great lessons. I’ve been stuck on my WIP for almost a month. (I have written five short stories). Something was wrong with the plot of the book. Your column inspired me to look at the antagonist. Problem solved. I know where the story needs to go. Thank you so much. I’m off the re-outline the rest of the book. I am printing you column and putting it in my binder of things to read when I’m stuck. Thank you, Brian! Glad this helped. When I finally learned this trick, getting out of box canyons became much easier. Way cool that you “stuck it out,” kept pushing to improve–and now you’re got an agent and a publisher!!!! These stories inspire. Also, thank you for sharing your insights about creating a strong villain. Thank you, Rick. It’s been a long journey, but worth it. Novelist Dennis Foley says you can’t fail at writing unless you give up. Never give up. What lovely comments, Debbie. Thanks from all of us at TKZ. Congrats on the book! Great cover. Wishing you much success. Thank you, Jim! You generous TKZ folks who give freely of your knowledge and experience will never know how many writers you’ve touched with your wisdom. I learned this recently, too. So you’re not alone, Debbie. My current difficulty is going into the killer’s head while also hiding his identity. I don’t want anyone to realize too soon that he is a family member. You’ve given yourself a daunting challenge. Beta readers can help you determine if you’ve pulled it off successfully. Good luck! Great post! 30,000 words into a first draft I realised I needed to change from first person to third, so at that point went back and re-wrote before continuing past the 30,000 word mark. 30,000 words into the second draft I knew it had that middle sag – and realised that the villain didn’t do anything (on or off the page) until the third act. Once I realised that and started asking myself “what is the villain doing now?” great plot ideas flowed and the middle is now totally different. What a learning process! I am so happy for your success – it sounds like it’s well deserved! Thanks so much, Linda. I’ve also spent many hours in that dreaded saggy middle. Jim Bell’s Plot and Structure has some great hints how to overcome it. More and more I appreciate the action offstage is as important, if not more important, than what the reader sees on the page. Thank you, Penny. The comments from others were full of great suggestions.